Since 1937, guards have marched in front of The Tomb of the Unknown Soldier at Arlington National Cemetery in Washington, D.C. 24 hours a day, 365 days a year. The soldiers who volunteer to guard the Tomb go through vigorous training, and follow detailed requirements to be a sentinel for the tomb. They take great pride in their service to soldiers from previous wars who died protecting their country. 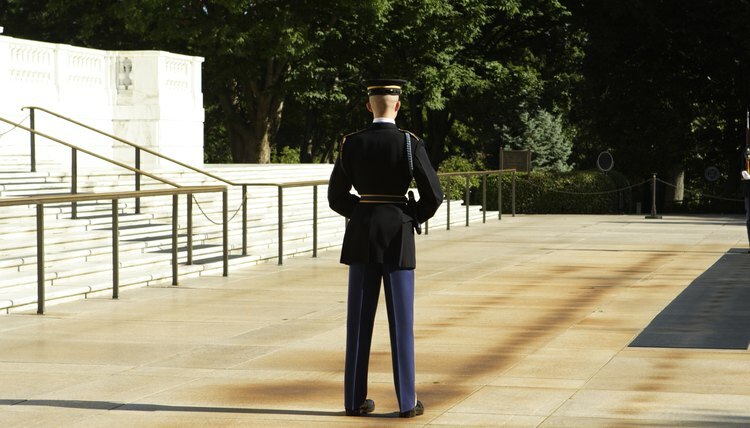 Soldiers volunteering to guard the Tomb of the Unknown Soldier must be in excellent shape. They require ongoing physical training when not on guard duty. They must possess a perfect military record, and stand between 5 feet, 10 inches and 6 feet, 4 inches tall. Their physical build should match their height. Tomb guards work on three relief team rotations. They work on duty with a team for 24 hours on three alternating days, then have 96 hours off duty. During the late spring to early fall, they switch guard every 30 minutes, and in the late fall to spring they switch every hour. When on duty while not guarding the tomb, they stay in barracks under the tomb, cleaning their weapons and uniforms and studying history of the tomb and Arlington National Cemetery. The guard for the Tomb of the Unknown Soldier takes 21 steps along a walking mat in front of the Tomb. These steps symbolize the 21-gun salute, the highest honor given to a military soldier. On the 21st step the guard turns and faces the Tomb for 21 seconds. He then turns to face back down the mat, changes his weapon to the outside soldier signifying his keeping himself between danger and the Tomb, and then counts another 21 steps. He repeats this pattern during his entire duty. 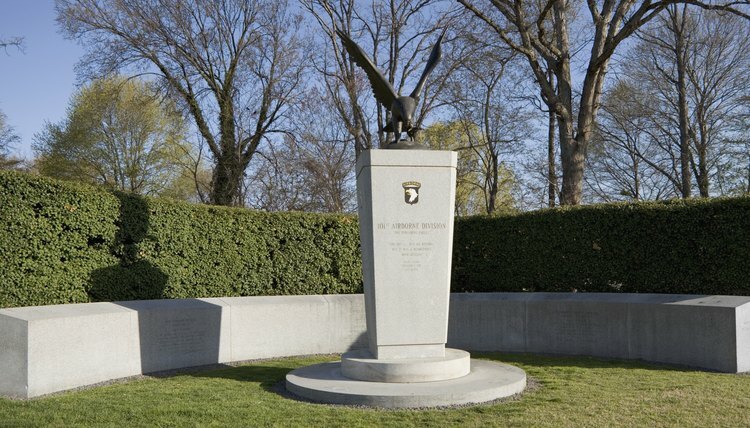 Soldiers from the 3rd U.S. Infantry can volunteer to be guards for the Tomb of the Unknown Soldier. They go through an initial interview and a two-week trial before actual training begins. During the trial period they must memorize word for word a seven-page history of Arlington National Cemetery. During training, soldiers learn more history on the cemetery and the grave locations of close to 300 veterans. They learn the guard change ceremony and how to keep their uniforms and weapons in perfect condition. In fact, guards take between five and eight hours to prepare their uniforms for guard duty. Stone, Greg. "Requirements for Tomb Guards." , https://careertrend.com/list-7653884-requirements-tomb-guards.html. 27 December 2018.